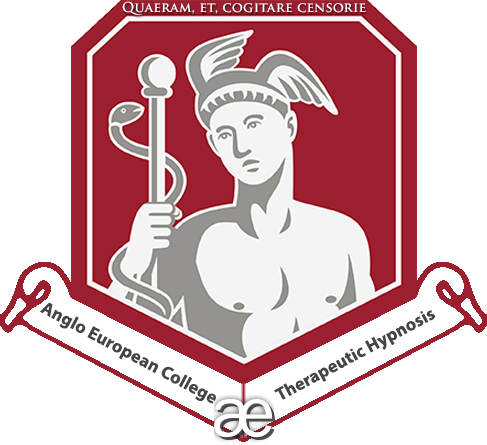 At the Anglo European College of Therapeutic Hypnosis, we come into contact with many consultants, therapists, coaches and other health practitioners of varying natures. Of those hundreds that we meet each year, there tend to be only a few who are simultaneously satisfying their altruistic requirements as well as earning a healthy living for themselves. Therefore, included within this course is a lot of real-life information about how to go about running a successful practice and you are offered much support and advice from our own experience to ensure that once you feel ready to embark on a therapeutic career, you have as much information and understanding about how to make that happen for you. Though we cannot and will not guarantee you’ll be earning a huge six figure salary within weeks of finishing this course, this hypnotherapy training course does aim to provide a formula for a successful clinical practice. One of the keys to successful therapeutic practice is being good at what you do – that is, if you have a depth of skill and knowledge, your clients are more likely to derive gain from working with you and in turn you’ll be more likely to get referrals; the life blood of a healthy career as a hypnotherapist. With this diploma course, you get thorough, in-depth hypnotherapy training, guidance on setting up and developing a business and information on how to set up your own practice. This hypnotherapy practitioner diploma training course is for the complete novice, existing practitioners, budding hypnotists and individuals seeking to add hypnosis to their existing professional skills. The vast majority of those we welcome to this college are complete beginners new to the field as well as psychologists, psychotherapists, doctors, dentists who are looking to add to what they already offer clients and patients. 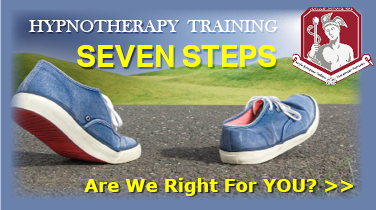 It is important to know that all hypnotherapy training available are not all equal. We are pointing out that our quality and standards are with the best organisations and authorities in the field. We want you to realise that you will have the highest standard of training and qualifications to go out as a Professional Practitioner. Adam will be pleased to answer any of your questions if you need further enlightenment. Do check out everything on this website and in the Prospectus – BUT better still if you have any doubts or questions to ask then call Adam Eason. He will be delighted to talk to you and help you. Please email him to schedule a call, or try your luck getting hold of him directly – call his office on 01202 526977. This online diploma is fully accredited with the Professional Hypnotherapy Network. Membership with this leading organisation will enable you to become fully insured to practice professionally as a hypnotherapist. If you’d like to discuss accreditation regarding our online hypnotherapy practitioner diploma, please get in touch and we’ll answer all your queries. Our students receive clinical hypnotherapy diplomas awarded by myself within the standards set by the previously mentioned association. Your membership to that professional organisation subsequently allows you to gain insurance and practice as a hypnotherapist and use certain letters after your name. Wooo! Exciting, eh? While studying this diploma course, all our students receive access to over 200 hours of video footage of all of the modules of our Hypnotherapy Diploma Course, along with footage of other lectures, seminars and workshops too. We have also added the same number of hours of video footage of two previous hypnotherapy practitioner diplomas so that you can really get a comprehensive education at this diploma level. This is a tremendously valuable addition to your training support. it includes audio guides to help you with your home study too. The videos provide you with an ongoing resource to help you revise all of the class taught material. Importantly, this Hypnotherapy training diploma course is aligned with the NCH’s, UKCHO’s, and the General Hypnotherapy Standards Council’s training standards and requirements. The guidelines have been designed to meet the Government’s growing interest in minimum training criteria throughout the field and this HPD qualification meets national occupational standards. Not all courses consider these exceptionally high levels of attainment within their school. We believe that the best way to train to be a hypnotherapist is to attend class. You get to practice your skills with a variety of people, you get your practical skills assessed by your tutor with feedback given in order that you can hone them. However, we are aware that some people simply cannot travel or are unable to make the commitment to attend a class. Therefore, our diploma course is also offered via distance learning now. The tuition and course content is identical to our live classes. We then set up your student memberships with the relevant hypnotherapy associations and we also set up your access to all the online learning materials. You’ll receive an automated email with login details. Once you have your login details, you begin watching the video footage. You are then sent on all the manuals for each of the ten modules along with all the slides and handouts used in class for you to refer to while you watch the footage and for studying thereafter. Investment fee: £1700.00 Plus Vat (total of £2020.00). We are very aware of the increasing importance of evidence based hypnotherapy and as a result of our own commitment to evidence-based practice, there is much content within this diploma course that is supported heavily by empirical evidence and research. The course contains a great deal of influence from the field of Cognitive Behavioural Hypnotherapy as a result. Additionally where techniques, approaches and strategies lack support of direct evidence, we’ll point that out and/or illustrate where evidence based principles can be used to support instead. If due to unforeseen circumstances any delegate needs to cancel an enrolment, up to one month before the course / seminar / workshop commences a refund of 66% of the paid course fee will be made by Adam Eason School of Therapeutic Hypnosis (T/as Awake Media Productions Ltd). Unfortunately, for any reduced initial fees paid (i.e. You took us up on an offer of a reduced course fee) and for any cancellations made within a month of the start date or after the start date of the course, no refunds are available. Please note: If you wish to move on to a different course at a later date and you give us less than a month’s notice, there are additional fees incurred due to hotel booking costs etc. If for any reason or due to unforeseen circumstances the programme you enrol upon has to be cancelled, Adam Eason College of Therapeutic Hypnosis (T/as Awake Media Productions Ltd) will refund your payment in full. Adam Eason School of Therapeutic Hypnosis and/or its directors will not be liable for any other expenses. It is adult education and some people will take longer than others. You can be a fully qualified practitioner within one year. Do check out the hypnotherapy diploma qualification you will be working towards in the prospectus – you will have letters after your name. Adam will be happy to answer any questions about this. Being able to learn this course online means you have all the time you need to be able to complete the course wherever you are in the world. You will need to be in contact with Adam Eason and therefore you may need to be accessible at unusual hours but we will find a solution.